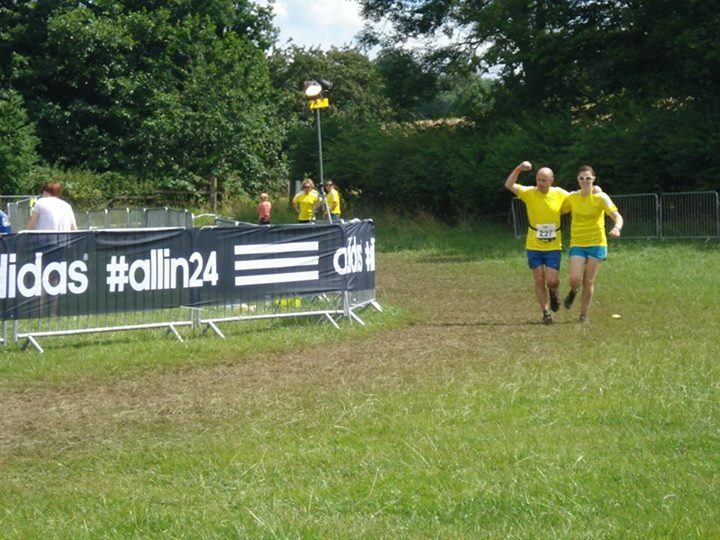 Over the weekend of the 27/28th July, Vici Richardson took part in the Adidas Thunder Run at Catton Park,Derbyshire. The event is staged over 24hrs and involves running as many laps of the 10k trail course as possible. which made running in the dark all the more challenging. By the end of the race at midday on Sunday they’d managed a staggering 9 laps each totalling 180k (111.8 miles!). If you want to take part next year (but you have been warned), the website can be found here. If you can help at Wyndley on Sunday it would be very much appreciated. The event starts at 11.15 am, so we are setting up at 9.00 am. We need to get hurdles out, set up long jump/triple jump boards, get the pole vault and high jump out, check the bar height of these, find all the relay change over flags and batons, find the scales to weigh throwers’ implements, put up the club tent, set up the sound system….Clearly there is a lot to do, so the more help, the better. At 5.00pm we’ll need to put everything away, so any help at 5.00pm would also be greatly appreciated. And if you can stay to help in between we’ll be able to use you: in the coffee bar, raking pits/collecting shot putts, putting out hurdles, taking refreshments to officials, running results from timekeepers to the announcer, pinning results up. If you can stay, we’ll happily find you a job. Hopefully see lots of you on Sunday. GO TEAM RSC! A number of athletes were in action this week at various open meetings. 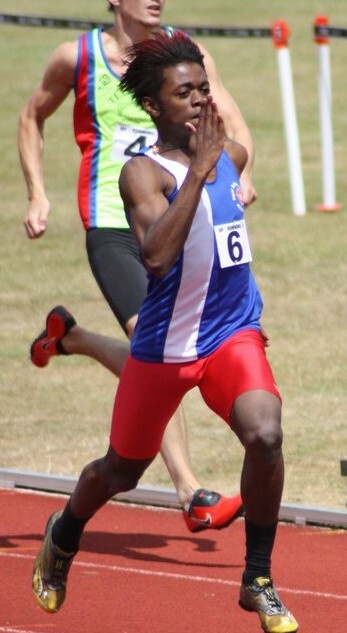 Nick Pryce’s rich vein of form continued, winning the 200m Open at Loughborough in a time of 21’50, beating in the process two runners who achieved low 21′ races this season. Well done Nick. At Cheltenham Open, Charmaine Riley finished 2nd in a closely contended 200m in a time of 27’7, with Joella Spencer finishing 3rd in 28’5. The final race of the day saw three clubs runners contest a 17-strong 800m field, with Stuart McCaw, Paul Davey and Fred Tremblay all taking part. It was great news for Stuart McCaw, who at only 20 years of age, ran for the first time under 2 minutes, finishing 4th in a time of 1’59.2. Well done Stuart. Fred Tremblay improved on his season’s best, finishing 3rd in 1’58.7. Paul Davey finished in a sub 2’10 time in a race that was part of a heavy-load weekly training regime. More open races can be found here. 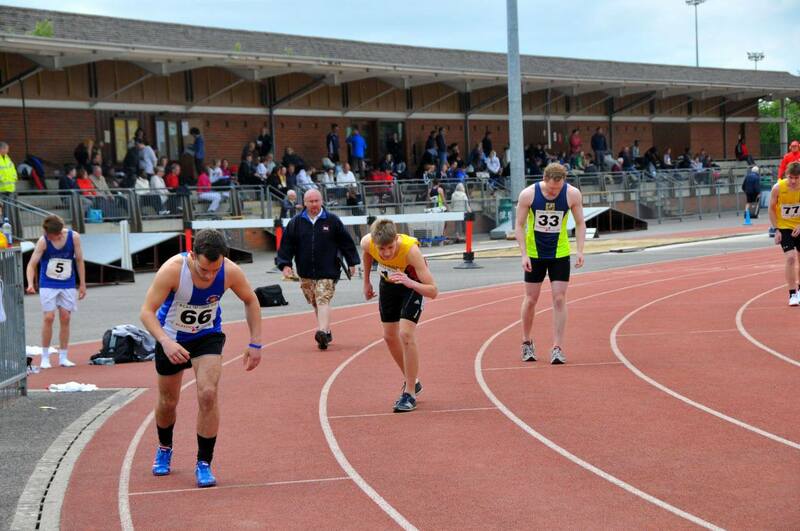 RSCAC was on the athletics map again this week-end with great performances all-round. Katie Ingle competed in her first ever European competition over the week-end making it to the final of the U23 European Championships 3000m steeple in Rieti, Italy. Results of the final can be found here. winning in a new PB of 21.38, smashing his own Senior Mens club record of 21.81. In the process he also beat Joshua Ross (Australia’s No 1), and Richard Strachan who regularly features on the british 4x400m relay teams at international level. Results of the 200m races are here. 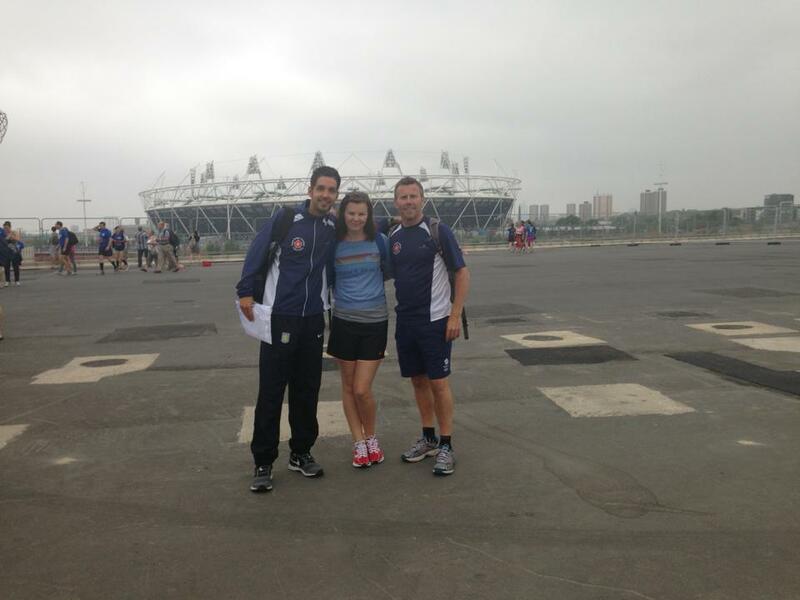 In London, 7 club athletes had the chance to compete against Paula Radcliffe at the Olympic Park run. They had to enter a ballot to take part in the five-mile (8,047m), 12,500 runners strong, National Lottery Anniversary Run around the Queen Elizabeth Olympic Park. Olympic cyclist Victoria Pendleton was also taking part while fellow cyclist Sir Chris Hoy was the official starter of the race. There were about 30,000 spectators. Vikram Balachandar was first home is a fast time of 29:15 followed by Colin McAuley in 30:57. Mark Rickards came home in a fantastic PB time of 31:21. All three beat world champion marathoner Paula Radcliffe to the line – not something you get to do every weekend! Vici Richardson, Lucy Jennings, Emma Neachell and Katie Jennings also competed in the event. Finally, Simon Ralph showed he is on his way to returning to top form with a sub 40min 10k result in a relay leg of the City of Birmingham 2013 Triatlon, Sunday at Sutton Park. Katie Ingle ran a personal best of 10.20 to qualify for the final of the 3000m steeplechase at the European Junior Championships today. The final takes place on Saturday. Good luck Katie! 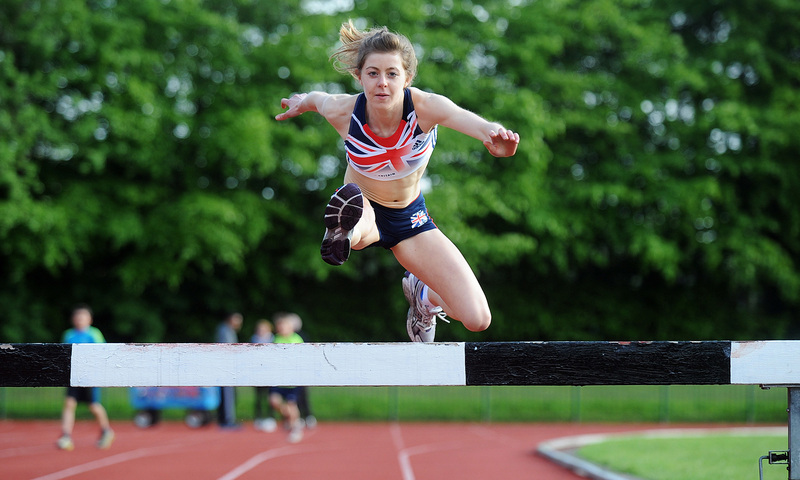 A fantastic run by Laura Whittle in the British Championships at the Alexander Stadium. She finished 2nd behind Stephanie Twell in a time of 16.00. Results available here. Nicholas Pryce was also in action on Friday night. He ran 10.9 in a heat won by Harry Aikines-Aryeetey.